Hello my little moers, how are you? What is new in the hood? How are all the plans going for your amazing weddings? I would love to hear all about it! 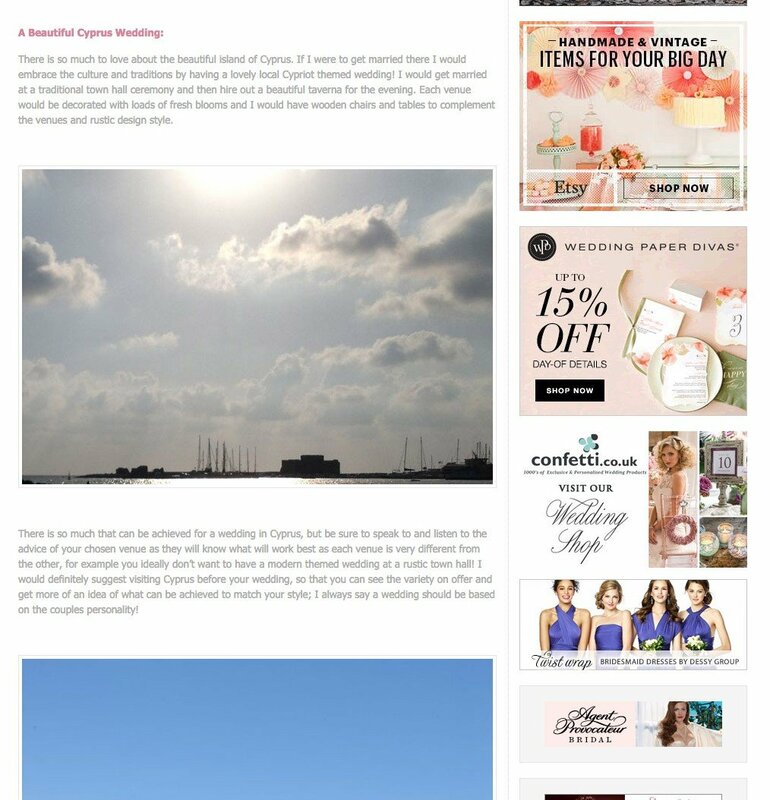 I’m not sure if you knew or not, but the other week I was featured on the incredible and amazing ‘You Mean The World To Me‘ blog, giving a guide to getting married in Cyprus. If you read it, it gives invaluable tips on marrying there and what to do and not to do from my experience of working and living over there for 4 years! Another great opportunity to be part of, especially for destination weddings. Here is a couple of screen shots…. 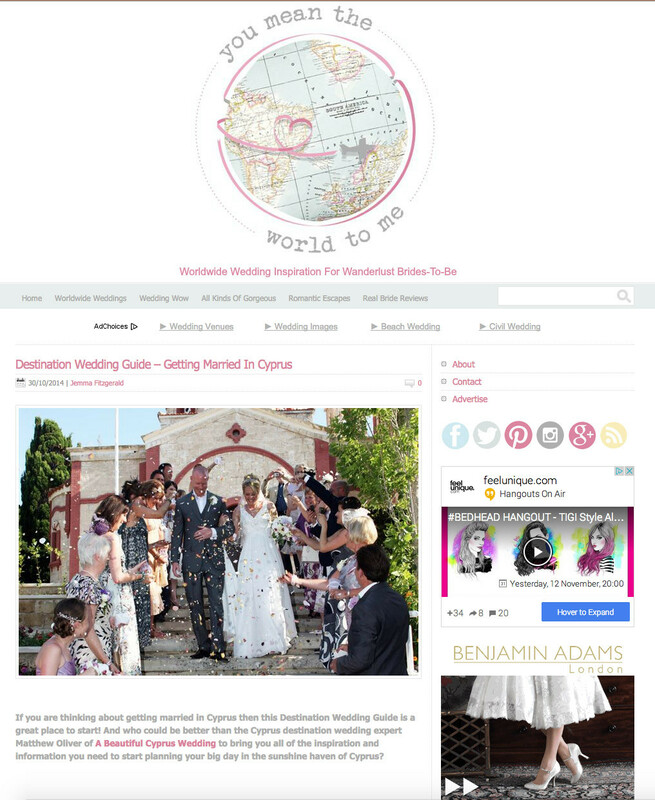 If you need any help with destination weddings, You Mean The World To Me blog is the best place to go, as it’s full of guides to getting married in certain destinations, real destination weddings and a list of remarkable suppliers in the destination your looking at! Also if you don’t know where to get married you get to see the comparisons of the places you like. 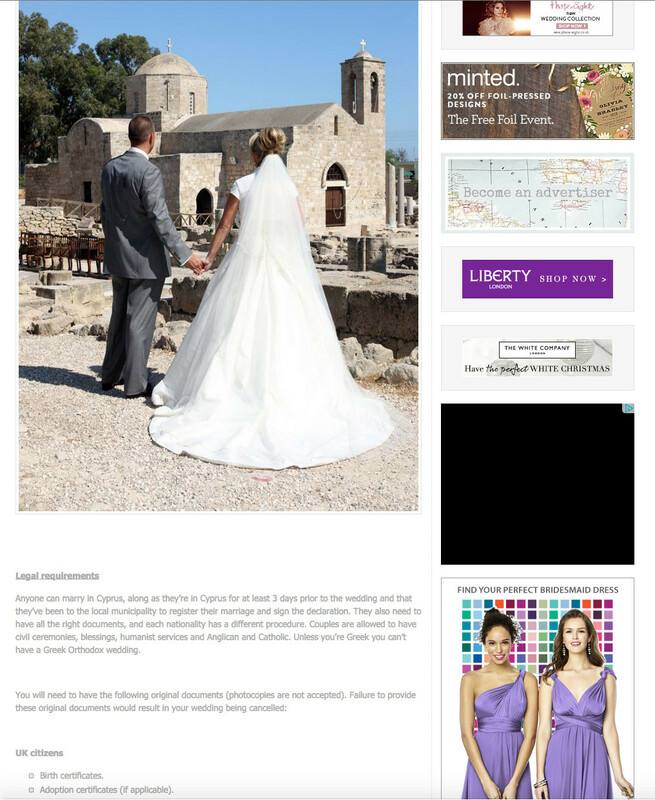 And if you need any help with Cyprus weddings, you have come to the right place! Thank you so much for popping by and don’t forget to read the article! You can read it here – www.youmeantheworldtome.co.uk/destination-wedding-guide-getting-married-in-cyprus/.